Most employment situations are at will, meaning that employers do not have to hire a person if they do not want to, and a person does not have to work at a certain company if they do not want to. However, this does not mean that a person can necessarily work wherever they want. The job market has picked up tremendously over the last year. So many places are hiring nowadays. With there being such a huge shortage of workers, employers are going to great lengths to hold onto the workers they have and prevent them from working at a competitor. If you started a new job this year, chances are you signed a non-compete agreement. A non-compete agreement prohibits a person from working at a competitor located in the same area for a specified period of time. The employer can create an agreement that fits their needs. They may prohibit an employee from working within a 5, 20, 50, 75 or even a 100-mile radius from the company’s location. They may enforce this agreement for three months, six months, one year, or even three years or longer. These agreements are non-negotiable, which creates a hardship for workers. They are often forced to stay at a job they may not enjoy because they signed a non-compete agreement and limited their employment options. If they do get a job elsewhere, they either have to move or commute a long distance. 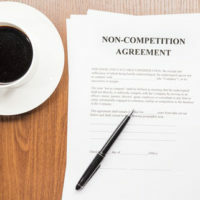 How Prevalent are Non-Compete Agreements? It is estimated that 20 percent of the workforce has a non-compete agreement in place. Companies typically use these agreements to prevent workers from using trade secrets in a job with a competitor. This means that non-compete agreements tend to be more commonly used in highly skilled jobs such as technology. But the truth is that they are found virtually everywhere. Fast food and other minimum wage jobs have them. More than 30 percent of hair stylists have a non-compete agreement in place. Even non-paid, volunteer workers are being forced to sign these agreements. A close relative of non-compete agreements, anti-poaching agreements are made between companies rather than between companies and employees. Companies agree not to hire employees from a competitor company. 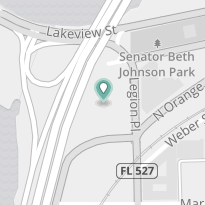 This gives employees less control over where they work, because if they are unhappy working at McDonald’s, for example, they may not be able to get a job at Taco Bell across the street if there is an anti-poaching agreement in place. In fact, many employees are unaware of their existence, and they may not find out until after they have already quit their job. The current business climate is very competitive. Employers want to control employees as much as possible, and while many have non-compete agreements in place, some go too far. Whether you are an employee or employer, you may have concerns about the validity of these types and agreements and what will happen if you do not follow them. Orlando non-compete agreement lawyer B.F. Godfrey from Godfrey Legal can answer any questions you may have and help draft an agreement that offers adequate protections for both parties. Call (407) 890-0023 or fill out the online form to schedule a consultation.